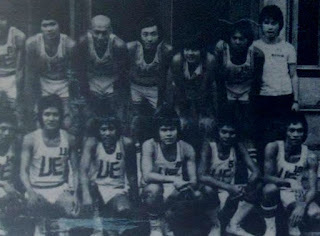 The UE Warriors earlier photo at the beginning of the 38th UAAP season. 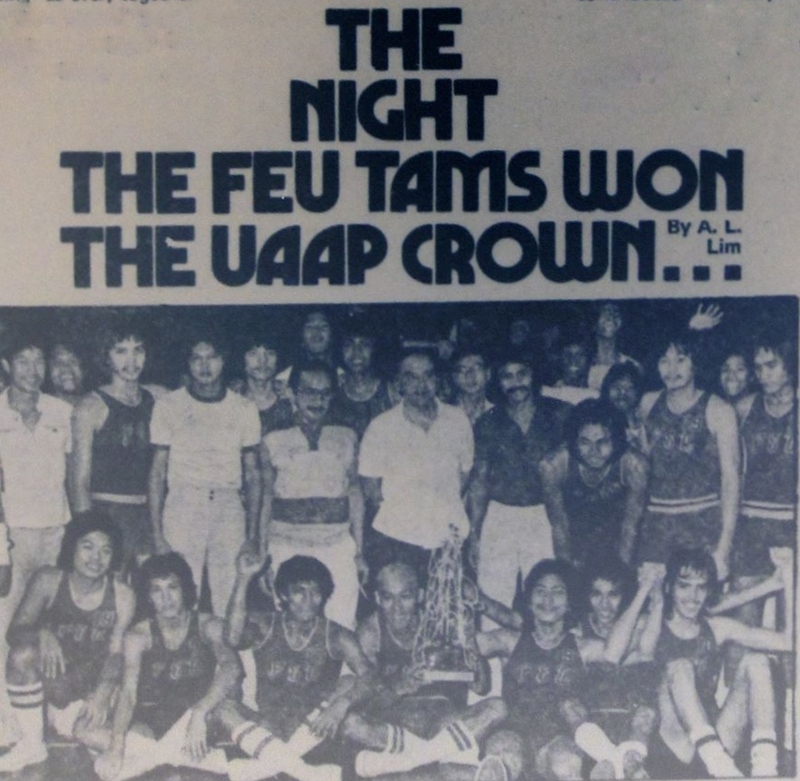 In the UAAP Season 38 for the men's basketball crown, the UE Warriors retain the title it won from the same team last season, the FEU Tamaraws. 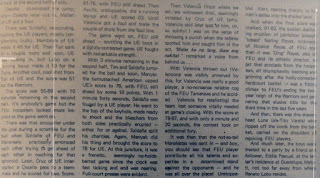 Among the members of the UE champion team of coach Filomeno Pumaren were Emer Legaspi, Tito Varela, Alex Tan, Jimmy Manansala and Benjie Chua. 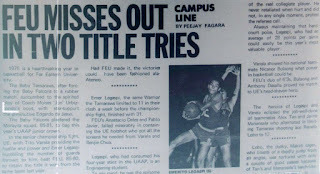 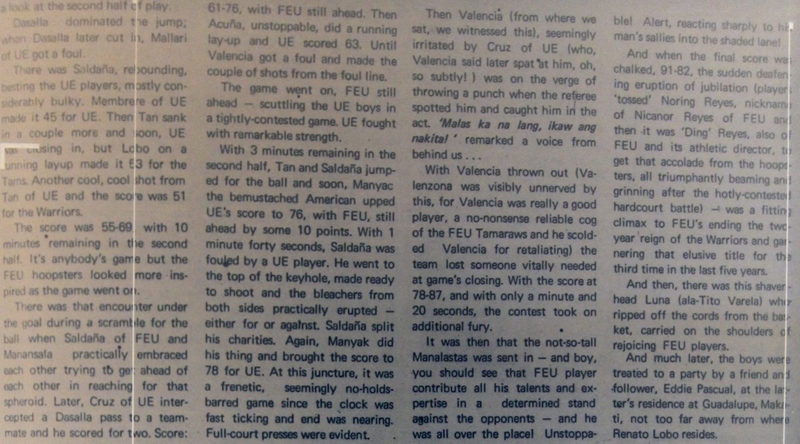 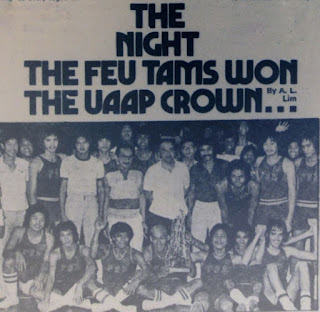 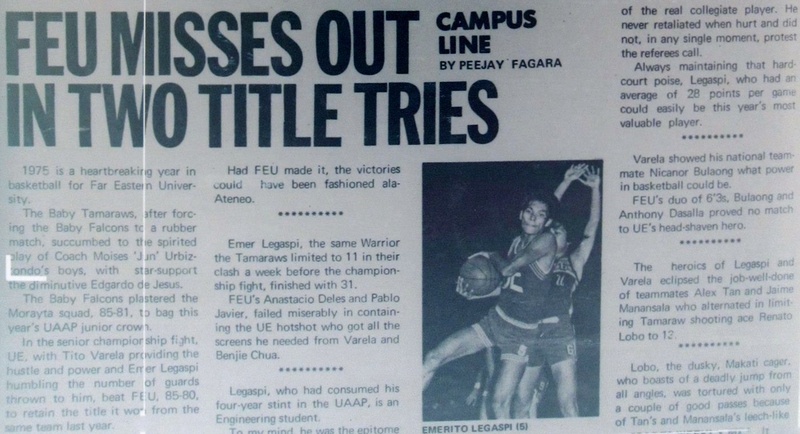 In 1976, the FEU Tamaraws ended the UE Warriors' two-year title reign in Season 39 and won their third UAAP men's basketball crown in the last five years.